Bristol’s Turbowolf have announced they will be releasing a covers EP on October 8 containing four classic tracks ripped to shreds in the band’s signature weirdo style. The EP takes a broad range of musical styles and eras, and transforms them into a sound that could only be from the minds of Turbowolf. From a grimed-up ‘Somebody To Love’ by Jefferson Airplane, to a doomy take on MGMT’s ‘Electric Feel’. 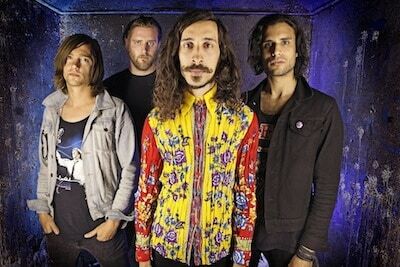 For more information visit the official Turbowolf Facebook.